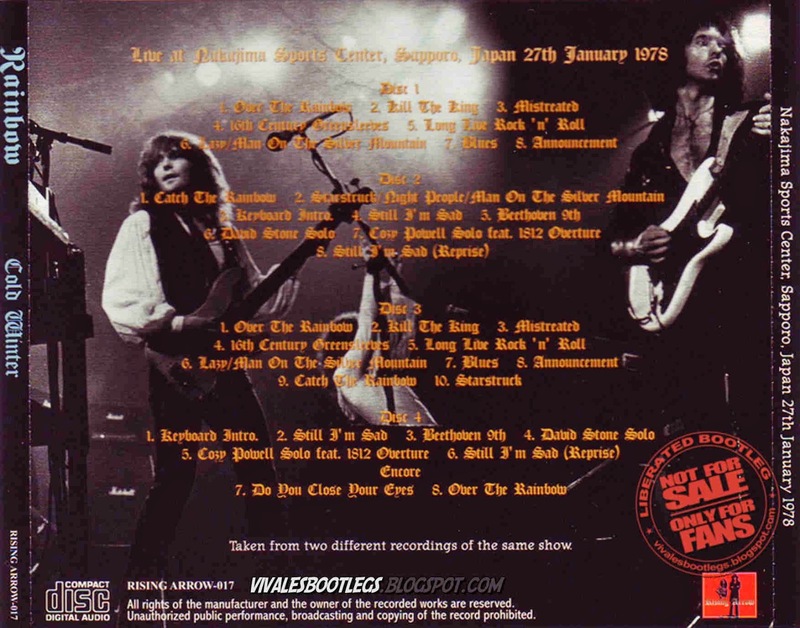 Recorded Live at Nakajima Sports Center , Sapporo , Japan - January 27, 1978. VG+ Audience Recordings :: Silver CDs :: Lossless FLAC. Files: 34.:: Size: 992.06 MB (mp3)| MB (flac). Personnel: Ronnie James Dio - Vocals / Ritchie Blackmore - Guitar / Bob Daisley - Bass / David Stone - Keyboards / Cozy Powell - Drums. 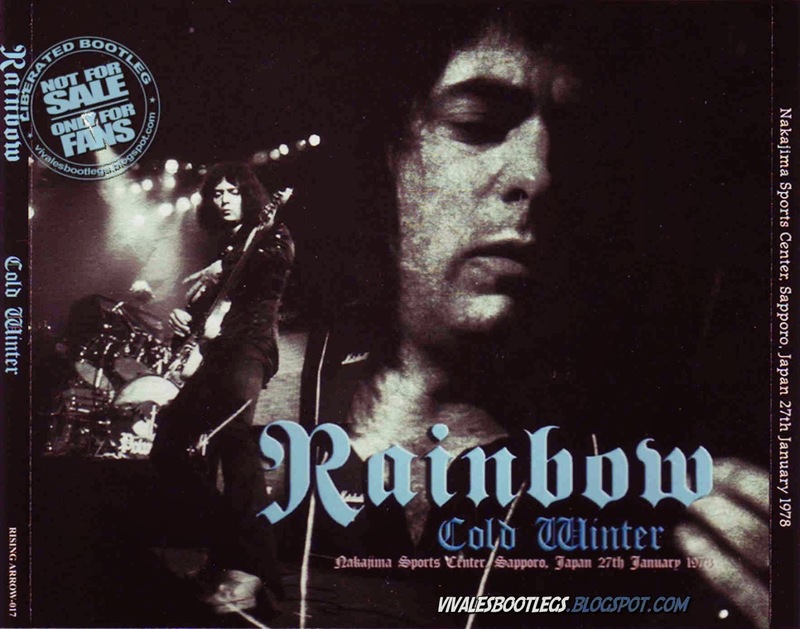 Notes: Taken from liberated bootleg : 'Cold Winter' Label Rising Arrow. Two times the same show. Taken from two different recording of the same show. Rainbow in one of the last date of 'Long Live Rock'n' Roll Tour' with the magic Ronnie James Dio !!! Lineage : Tranformed in Flac 8 with AVS Audio Converter 6 - two channels of 16-bit samples at 44100 samples per second - Trader's Little Helper -FLAC. <<Info taken from original info file<<.